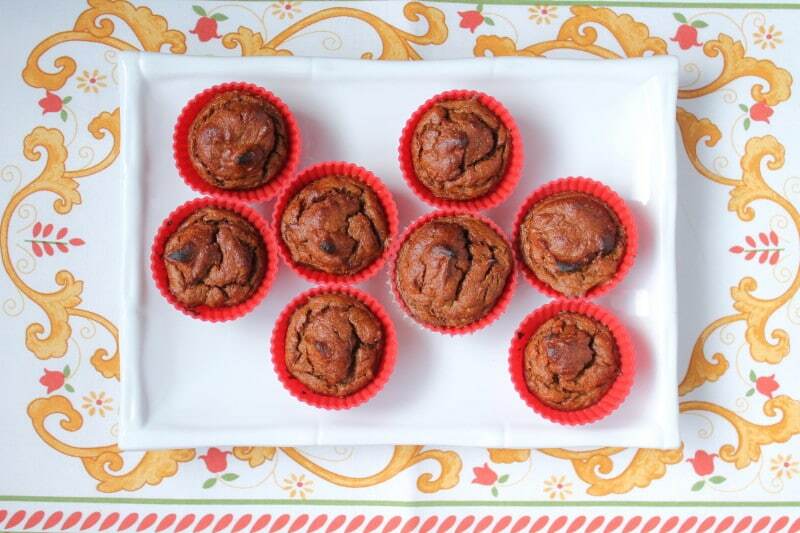 These little pumpkin banana flourless muffins are so great. They're nut-free, grain-free, dairy-free and don't use coconut, for those of you who are allergic! 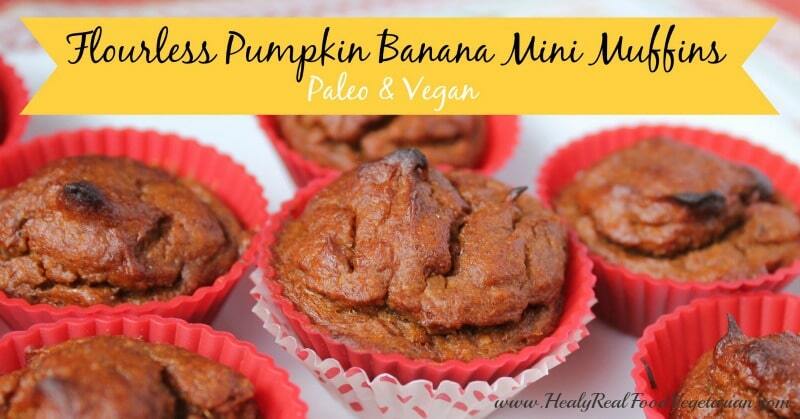 These little pumpkin banana flourless muffins are so great. They’re nut-free, grain-free, dairy-free and don’t use coconut, for those of you who are allergic! 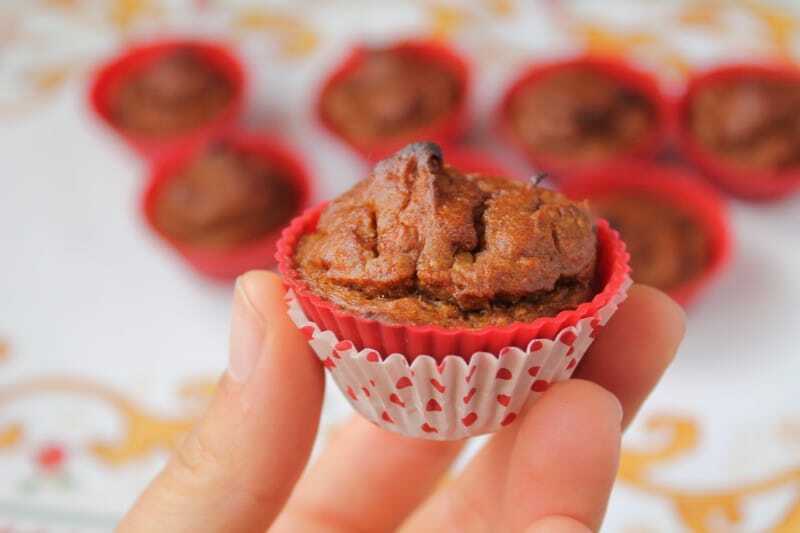 I recently got an email from a friend who’s child is sensitive to grains, coconut and almonds, so it makes grain-free baking really difficult considering that most recipes use almond flour or coconut flour. So, It got me thinking about developing a recipe that didn’t use either of those flours and I came up with this! I’m so pleased with the result. Note: This recipe will not work as regular sized muffins. Pre heat oven to 325°. In a small bowl mix the ground flax and warm water together and allow to gel. Mash the banana and pumpkin together in a separate bowl. Add remaining ingredients to the banana pumpkin mixture including the flax mixture. Make sure there are no lumps. I used a hand blender to make mixing easier. 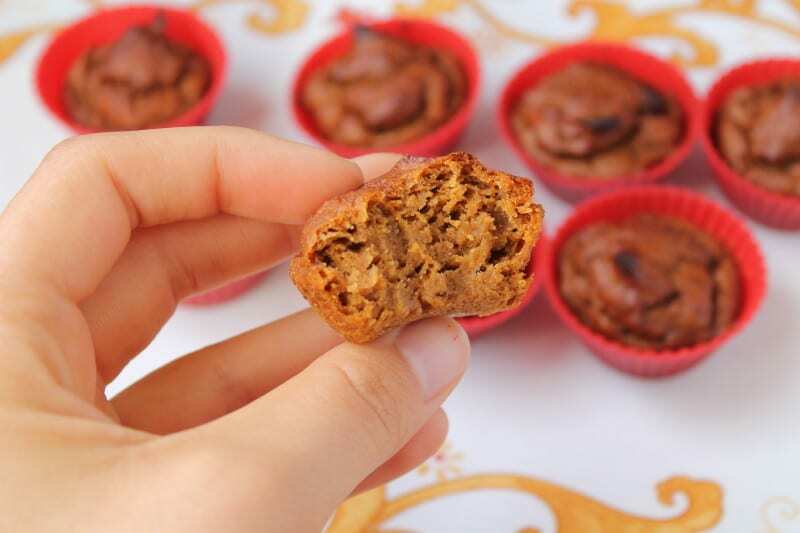 Place mini muffin liners in the mini muffin tin and scoop the batter into the muffin liners. You can fill it until the muffin liner is almost full with batter. It will rise a little bit, but not enough to overflow. Bake at 325° for about 30 minutes. Make sure you let the muffins cool to set before eating. can you sub banana for anything? 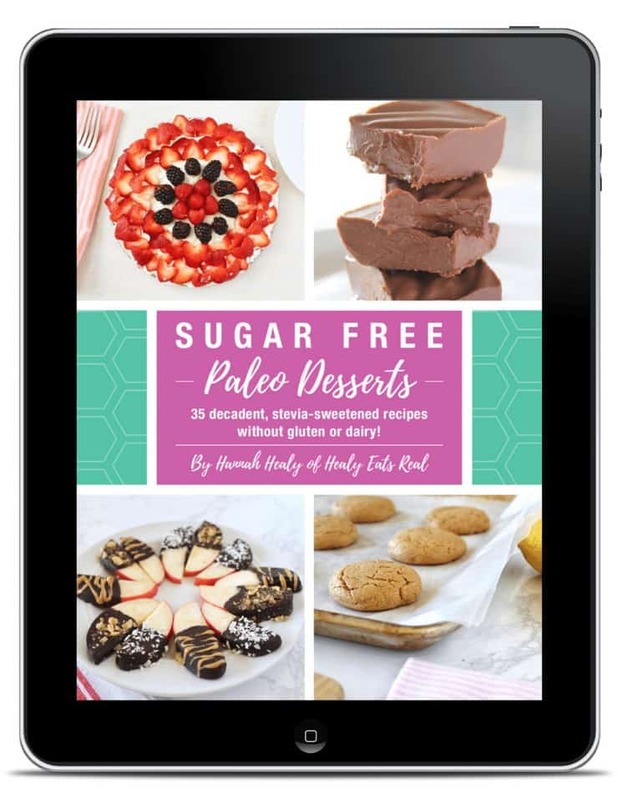 You mention that they don’t contain coconut, yet coconut sugar is included in the ingredient list. Do you have a recommendation for a substitute? You can also use any granulated sugar like muscovado or rapadura. 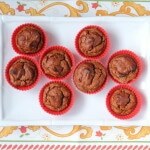 I really enjoyed these muffins, but the middle tastes mushy to me, like it’s uncooked. Should I have cooked them longer, or is that how they are? Since these are eggless and flourless, you kind of have to compromise on texture a little bit. They’re not going to be like wheat muffins when you take out flour and eggs. It’s important to make these as mini muffins though, because they don’t quite work as well as regular sized muffins. No, it will be too soggy since it doesn’t have much flour. It only works with small loaf or mini muffins. This recipe looks great and I have been craving pumpkin anything during this season. 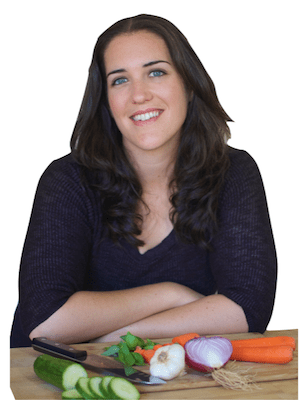 Can you substitute gelatin ‘eggs’ for the flax seed. I know it is no longer Vegan, but I have an autoimmune disease and flax seed kills me. Thanks. I haven’t tried it that way, so not sure if it will turn out. Let me know how it turns out if you try it!